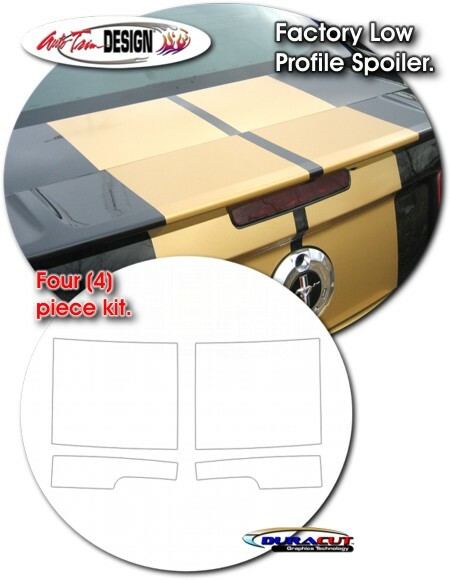 Make your '05-'09 Ford Mustang GT Coupe "Tough-looking" with this Bumper, Hood, Roof and Rear Deck Lid "Shelby GT500" Stylized Rally Stripe Graphics kit. They're PRECUT and ready to install here in Silver Metallic - NO TRIMMING required! 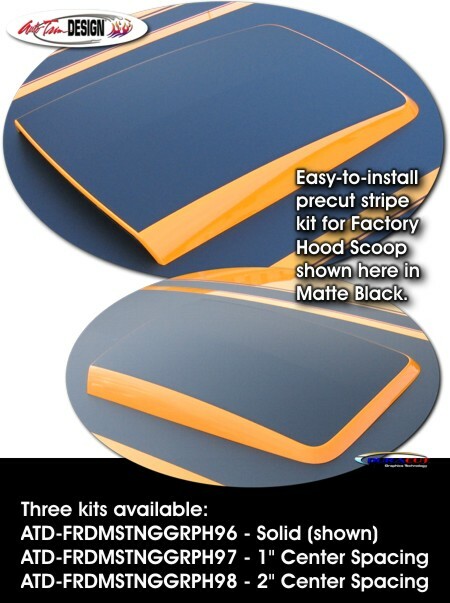 This stripe package is not just a box of 10" straight strips. Our graphic kit consists of prefitted and contoured pieces as shown in the illustration. 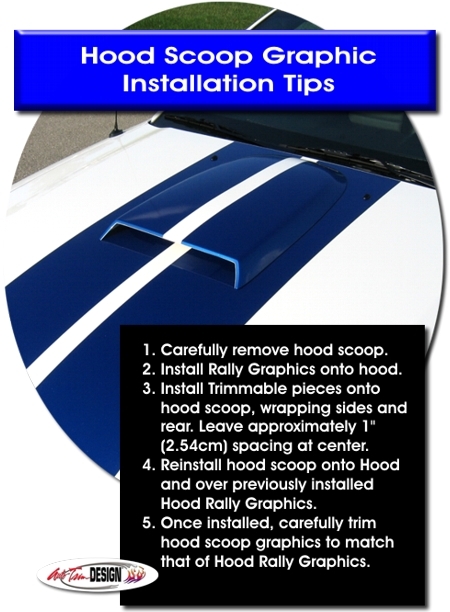 Unlike the actual Shelby GT500 stripe kit, stripe width is more consistent and there are no unsightly splices in various places such as the bumper and rear lid areas. While the application of these graphics are more difficult than others, kit is provided "splice free". Stripe width is approximately 10" (25.40cm) and set for a center space of 1" (25.40mm).